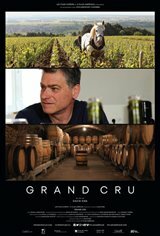 In the early 1980s, Pascal Marchand, a 21-year-old Quebecker, travelled to Burgundy, France. Falling in love with the charm of the region, he decided to settle there. The following year, Count Armand entrusted him with the responsibility for the production of Clos des Epeneaux, a prestigious estate located in Pommard. Over time, Pascal became one of the most renowned winemakers in the region, thanks to the development of techniques that harmonize with the rhythms and forces of nature. Director David Eng meets him in 2016, a year when weather conditions were disastrous for harvests.